Since Fambul Tok’s premiere in 2011, hundreds of festivals, nonprofits, theaters, churches, schools and community organizations have hosted screenings of the film across the globe! 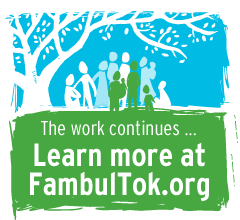 We invite you to bring Fambul Tok to your community next. To order a public exhibition copy for your school or library, please contact our educational distributor, Documentary Educational Resources, or click on the button below. Then, visit our “For Educators” page to learn more about the Educational Guide. If you are a festival, church, community organization or individual, we invite you to host a screening of Fambul Tok in your own community. 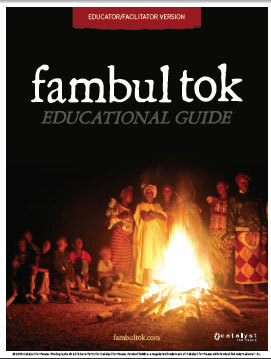 Screening Fambul Tok is very easy – just keep in mind that you will need to purchase a public exhibition copy of the film before using the DVD for your community event. The use of Home DVDs for public screenings is strictly prohibited. To order a public exhibition copy of the film for your screening, please contact our educational distributor, Documentary Educational Resources, or click the button below. Then, download our Hosting Guide, by clicking below, for all sorts of helpful tips in organizing and hosting your event. If you have any questions about ordering the film, contact Julia Perciasepe at Documentary Educational Resources.